*Helovx are unaware of the Sister-Suicides; they estimate the population at approx. 50,000. 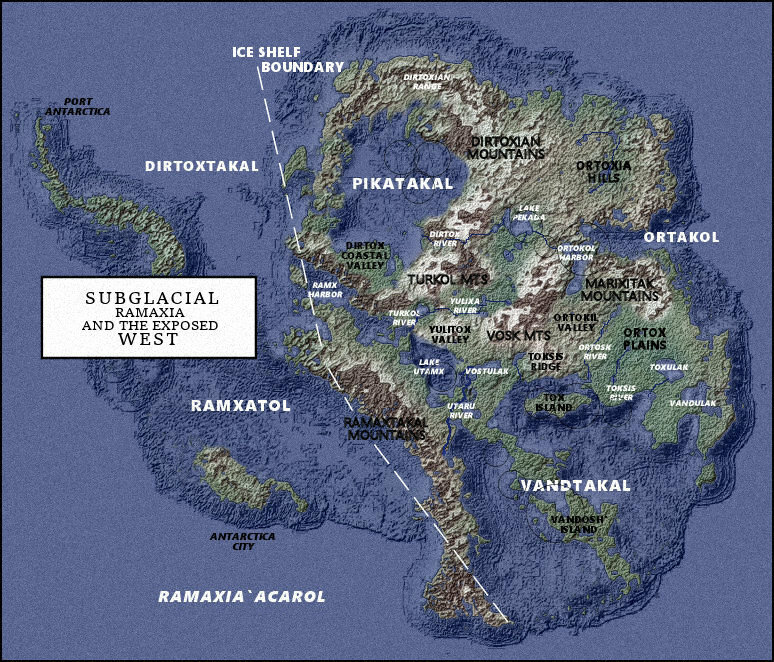 Ramaxia is Ramaxicon’s southernmost continent. It is situated in the Southern Polar region and at roughly 4,00,000 square miles it is the second-largest continent in the 23rd century world. 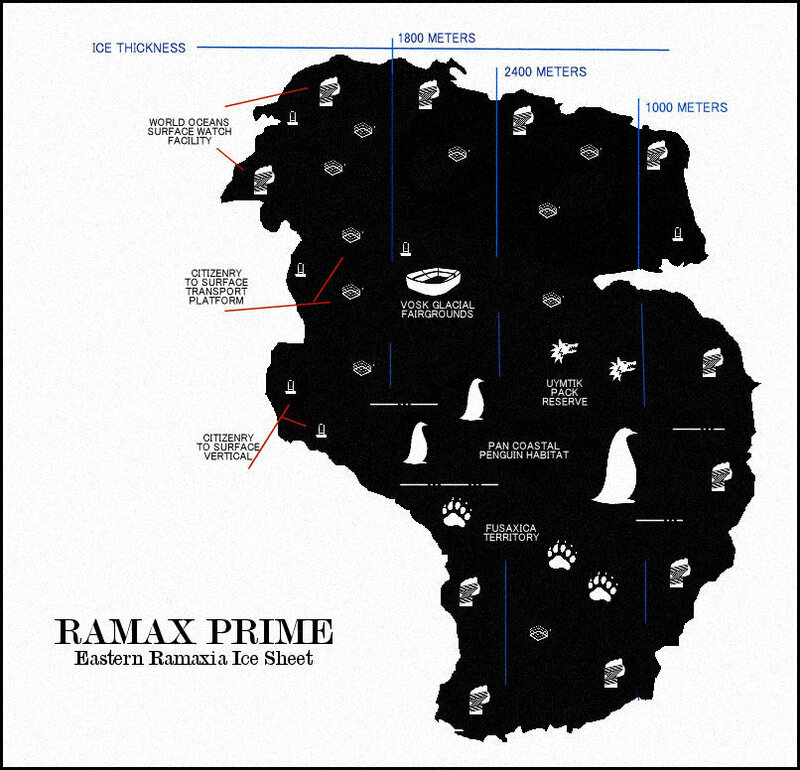 About 89% of Ramaxia is covered by ice (The Prime Ramax) that extends almost entirely over the main continent; the chilly far west, once a peninsula, is now series of temperate islands.